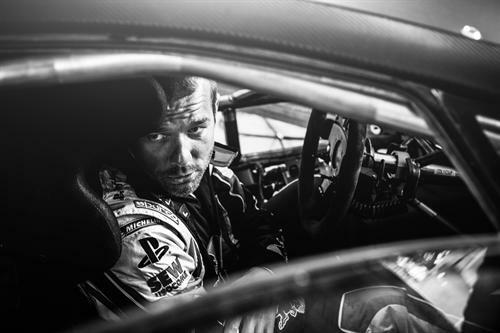 On June 30, Sebastien Loeb will be racing for Peugeot on the historic Pikes Peak International Hill Climb in the most contested class, the Unlimited Class. To assure their success, Peugeot has tuned a 208 to have a full horsepower per kilogram, making the Peugeot 208 T16 Pikes Peak one of the most powerful machines to make the climb this year. With the car completed, nine time World Rally Champion Loeb finally got his chance to try the new car and it was very obviously love at first sight. “The 208 T16 Pikes Peak is a rocket! It’s so powerful! The first time you drive it, each gear change practically stuns you. The shifts are really brutal, and it takes a little time to anticipate the sudden jarring. You get used to it, but it was quite disorienting to begin with. I’ve never driven anything that accelerates so fast!” he remarked. “In the lower gears, a Formula 1 car doesn’t deliver maximum power. With the Peugeot, though, it’s bang, bang, bang as you move up the box from standstill. Due to its four-wheel drive transmission and turbocharged engine, its pull-away performance is phenomenal! You find yourself in sixth gear at 150mph in no time at all!” Indeed, with a 0-62mph (100kph) time of 1.8s, the 208 T16 Pikes Peak would leave any F1 car standing…"
He continued commenting after his first few test laps, saying that the 208 is the best of many worlds with the downforce of a Formula 1 car, the wide tires of a endurance racer, and a differential like a World Rally car. Loeb took the Peugeot 208 T16 Pikes Peak on several laps that first day and will continue to do so until the race, learning the sweet spots, perfecting his reactions for handling, and finding the car's limits - and his own. Then on the thirtieth of June, he and his new love will tackle the 20 kilometer course to the top of Pikes Peak. The Frenchman believes it will be a winning run.